You are here: Home / Coffee Resources / Finding Your First Cup of Authentic Kona Coffee! Finding Your First Cup of Authentic Kona Coffee! Kona coffee is some of the finest coffee available globally. Unfortunately it has also become a product, that many companies try to pass off as genuine Kona , when it is far from it. Here are some important points to take into consideration before making your first Kona purchase. The first thing you want to look for is the percentage of the Kona in the bag. You want to look for a label that reads “Pure Kona” if you do not see these words then you should not buy it. The blend coffees can have as little as 10% of the beans as Kona beans. There are many companies out there do a really good job producing packing to try and fool you, so it is very important to take a close look at all the fine print. In addition, when possible purchase the coffee from the actual grower. When you purchase from the store, you have no way of knowing how it has been stored and how many people have handled it. 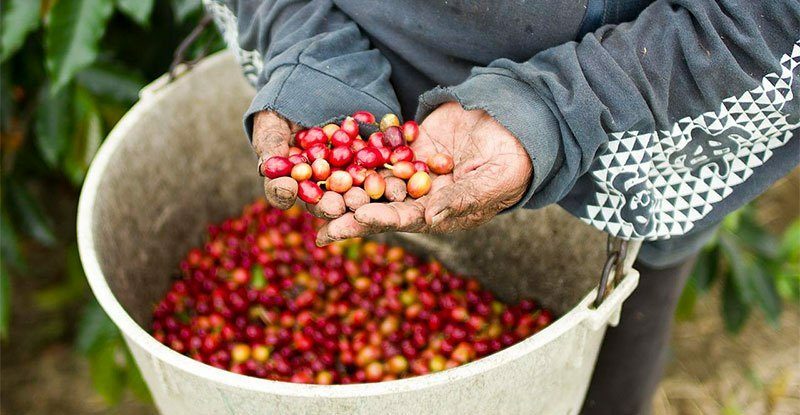 By purchasing the coffee from the grower you ensure it is of the highest quality. Reputable growers treat the process much like wine makers treat their grapes and their wine making processes. The production of Kona is considered an art form too many and any reputable grower will be willing to offer you information on his or her product including the production process. Another advantage of buying directly from the grower is that you find out when the beans were grown. Typically coffee is made with old beans that have been recently roasted, when you purchase Kona coffee you want to make sure it is made from fresh beans. You want to make sure the beans were grown in the past year to get the freshest tasting Kona. If you cannot buy directly from the grower, make sure you do your research on the farm the beans came from. They should have a solid reputation or producing high quality Kona beans. It is also important to keep in mind that Kona is a rare bean; therefore there are limited supplies of it. Basic laws of supply in demand, make price a good indicator of quality. Due to low supply, Kona is not the cheapest coffee product on the market. Therefore if you come across a bag for $7.00 it is most likely not pure Kona. Another tool you can use is the Kona grading system. There is a rigid system in place to make sure all Kona coffee is properly graded. This will help guide you on the quality of the Kona. Kona Extra Fancy – the very best with impressively superior flavor. Kona Fancy – also quite excellent, but made with slightly smaller beans. Kona One – usually found mixed with a higher grade to create a 100% Kona Coffee blend. Kona Select – may be sold as an affordable 100% Kona or used in a 10% blend (90% filler). Kona Prime – may be sold as an affordable 100% Kona or used in a 10% blend (90% filler). The good news is that the Hawaiian Agriculture society has very strict rules about what is Pure Kona coffee. So while there are a lot of knock offs out there, with a little research you should be able to find the high quality product. Once you have your first cup you will be hooked like so many other Kona drinkers around the world! Enjoy!